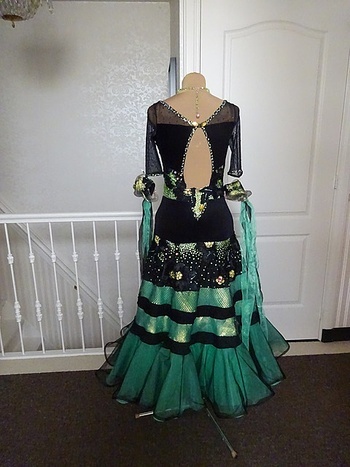 Description	 Elegant and beautiful ballroom dress. 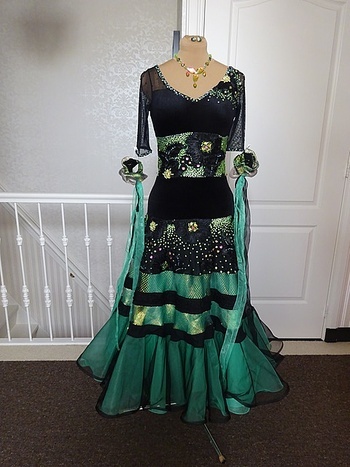 For a length of around 172 cm adjustments in consultation possible, Comes with arm decoration, earrings and chain Please contact me for more info famdoodk @ levix. (There are more dresses for sale you can ask me about this. Prices vary between 550 and 1050 euro).